Schools will soon be closing for holiday break and you’ll either be traveling to the Roanoke Valley in Virginia’s Blue Ridge and seeking respite from a bit too much togetherness or living in the area and in need of the same. Here are 10 things to do with the kids during the holiday season in Virginia’s Blue Ridge Mountains. This family-friendly winter destination is all about fun on the ice for all ages. Your toddler will love Prissy Sparklepants, one of the ride-on/push-around seals, and your teen will twirl and whirl like Tara Lipinski. The daredevil of the family will undoubtedly want to try the brand new ice slide. We won’t tell if you want to pretend it’s a luge. If you’re trying to fill a big portion of the day, head to Center in the Square where there are several attractions in one stop. The 6,000 gallon coral reef is quite an unexpected treat, and we’re proud to tell you it’s also the largest aquarium of its kind in the Mid-Atlantic Region. The other attractions at the Center are the Harrison Museum of African American Culture, Mill Mountain Theatre, Science Museum of Western Virginia, and Roanoke Pinball Museum. For ease of access, get a Center Pass + Roanoke Pinball Museum. Children 4 and under are free. Dickens of a Christmas is a Friday night spectacular complete with chestnuts roasting on an open fire right in the heart of downtown. Wax nostalgic with a carriage ride and old fashioned delights! Free! Fashions for Evergreens is one of the most elegant events of the year for The Hotel Roanoke & Conference Center. Dozens of trees are professionally decorated and visitors vote for their favorite by way of monetary donation. Fashions for Evergreens benefits the United Way of Roanoke Valley. Entry to see the trees is free. One of the best ways to blow off steam is launch around for a couple of hours at Launching Pad. Gather the teens for a dunk-off competition while the younger bunch jump to their hearts’ content. Save some time for bumper cars or slow it down at the arcade. There’s enough to do and so much fun doing it that you might need two trips! Inflatable bounce houses are not just for birthday parties. Bounce Roanoke has brought a slew of them indoors for your year ‘round run-around entertainment! Even the adults will want to bounce and slide around the huge obstacle course. The Southern Professional Hockey League plays in Roanoke and the Rail Yard Dawgs are out to earn a reputation fierce enough to match their name. Make time to catch a game or two. The holiday package includes six undated tickets plus a stocking cap and a long-sleeve tee. 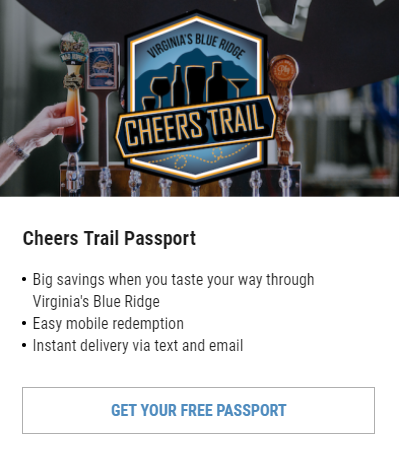 It’s a great gift for the hockey lover who calls Virginia’s Blue Ridge home. Don’t overlook the classic, simple fix for all ages: go to the movies. New releases keep the holiday season hoppin’ and Virginia’s Blue Ridge has excellent theater experiences. The Grandin Theatre in Roanoke is a 1932 historic treasure that’s been renovated to accommodate guests of today. Flicks include a mix of foreign, indie, and new films. Buchanan Theatre is another throwback theater experience in the heart of the charming Town of Buchanan in Botetourt County. Westlake Cinema at Smith Mountain Lake is a four-plex sprawl with comfortable stadium seating and excellent sound. It’s not the movies if you don’t get a bucket of buttery popcorn and drop a few quarters in the arcade games. These kids and their new-fangled entertainment. Let’s show them what fun really looks like! Lace up the roller skates and let’s have a skate dance worthy of Xanadu. The Skate Center of Roanoke Valley is roller skating and more. Kids 12 and younger will loooove the Play Room, which includes slides, a bounce room, a 20,000-ball pond, and bungee challenge. Big kids can joust and try the climbing wall if they’re too cool to skate. A day at River Rock Climbing – especially one among teenage boys – undoubtedly begins with “I betcha can’t …” And you know what that means. Bring. It. On. Throw in the gals or parents to really amp up the challenge! 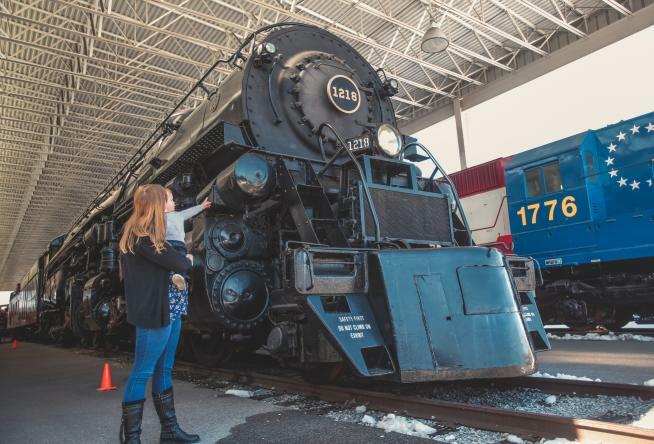 Two big steam locomotives are the crown jewels of the railyard, but you’ll also love the other planes and automobiles at the Virginia Museum of Transportation. The Jupiter Rocket on exhibit is a replica of the Jupiter Rocket that sent primates Able and Baker to space and back in 1959. After exploring, check out the Star Station, a transportation themed playground. You should stay pretty busy with the kiddos with these suggestions, but if you’re looking for a few more, see if our great outdoors can keep you occupied! 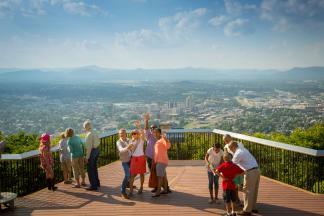 And don’t forget to document your adventures using the hashtag #BlueRidgeDay on social media.